A new global study by HootSuite of 750+ enterprise organizations reveals that majority of businesses believe social media presence is important to the bottom line yet they face challenges in turning social data into something actionable. 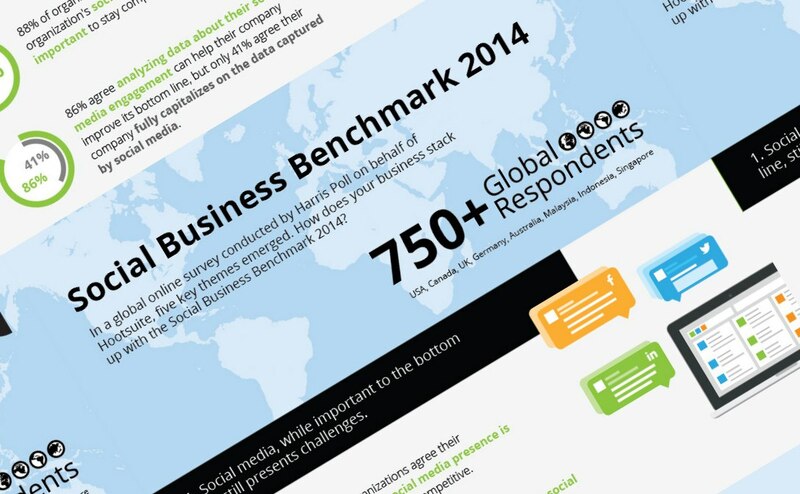 • 88 percent of respondents agree their organization's social media presence is important to stay competitive. • 86 percent agree analyzing data about their social media engagement can help their company improve its bottom line, but only 41% agree their company fully capitalizes on the data captured by social media. • 62 percent say designing a social media strategy is a challenge.